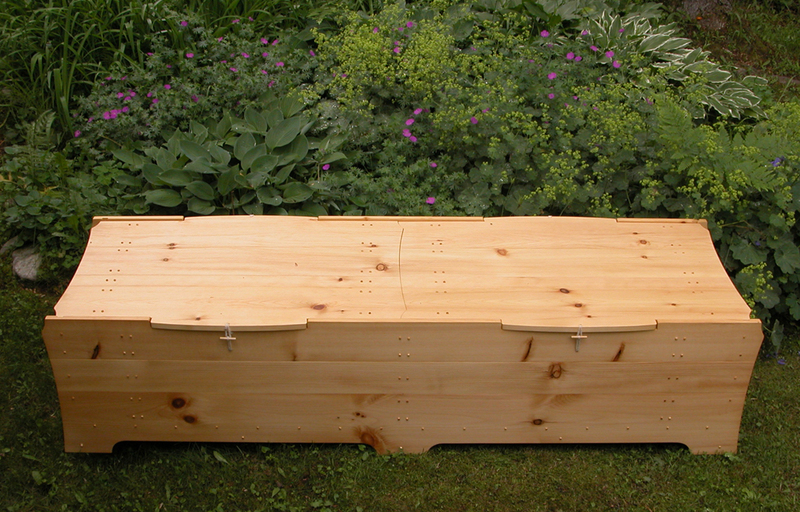 Pine Michigan Coffin with optional interior. 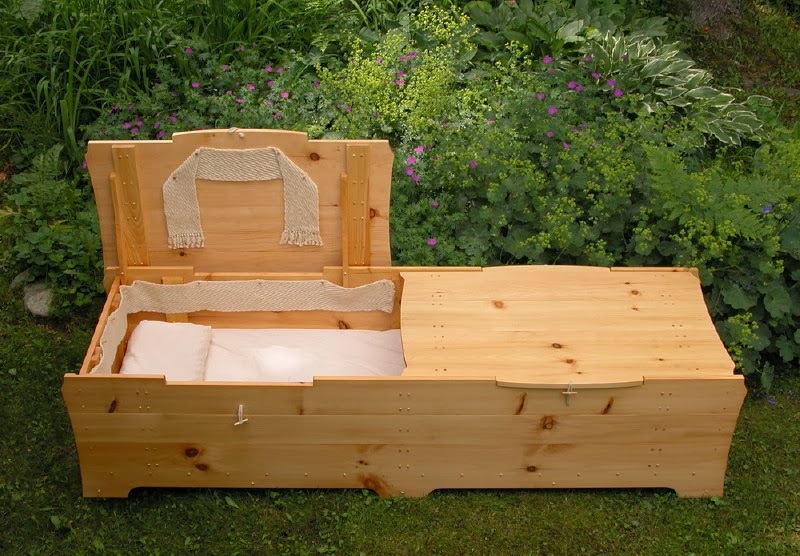 Interior consists of Certified Organic Cotton Bed filled with planer shavings and Locally Woven Wool Pieces that attach inside of the coffin on wooden pegs. End Profiles of the Pine Michigan Coffin showing wooden peg and sliding dovetail construction. Using these techniques allows the coffin to be built without metal or glue of any kind. Pine Michigan Coffin lid can be placed into an upright position for viewing. Shown with optional interior. 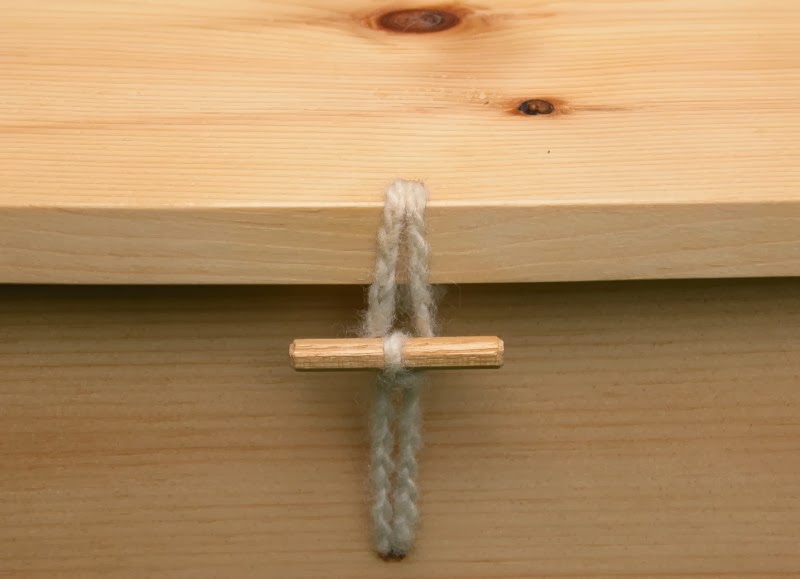 Pine Michigan Coffin lid latched down with a simple wooden peg and yarn grown and spun locally. Pine Michigan Coffin with optional interior. Interior pieces wrap around edges of coffin as well as hang into the center. Top center close up of the Pine Michigan Coffin showing top halves' mating profile. More detail of optional interior for the Pine Michigan Coffin. Pine Michigan Coffin profile details.